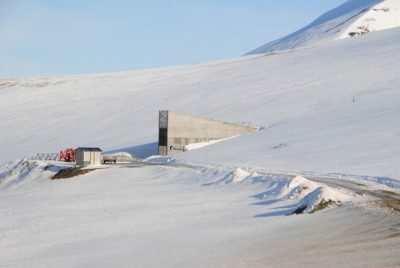 Climate change has been creating challenges for the area leading into the world’s so-called “doomsday vault” for seed storage on Svalbard. 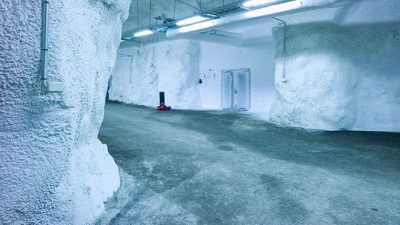 Now the Norwegian agency in charge of state property and maintenance plans to renovate the vault’s entrance, after warmer temperatures have weakened the permafrost around it. State and local officials on Svalbard, the Arctic island group administered by Norway, have stressed that seeds stored inside the vault are safe because it’s located deep inside a mountain. Those in charge of the vault were concerned and unhappy about a wave of international reports last year that suggested the vault itself was threatened. They contend the vault remains cold and dry inside the mountain, and now stores around 930,000 different types of seeds sent from all over the world to preserve them. Water from melting ice and permafrost was seeping into the entrance to the 100-meter-long tunnel leading to the vault, however, and state property agency Statsbygg ordered a study of how to halt the leakage. Newspaper Aftenpaper reported on Wednesday that the study was carried out and shows how only the entry area and tunnel need modifications and repair. The needed renovation is surprising enough, given the message it sends about how quickly climate change can manifest itself. It’s only been nine years since former Norwegian Prime Minister Jens Stoltenberg (now secretary general of NATO) and the former president of the European Commission, José Manuel Barroso, officially opened the Svalbard Global Seed Vault. Asachim noted that the landmark building that forms the entrance leading into the vault will remain standing as is. “It’s the tunnel leading into fjellhallen (mountain hall, where the vault is located),” she said, that’s become vulnerable to the changes in the permafrost. Around 17,000 cubic meters of loose rock and dirt around the entrance will be removed starting this spring, when the now-frozen masses are expected to loosen up again. They’ll be replaced by a new water-tight concrete structure while a new foundation for the entrance is laid as well. A new drainage system will also be installed to prevent any other water from gathering around the entry tunnel’s walls. “After that, the masses removed will be replaced by new, frost-free masses laid in layers with freezer cables,” Aschim said, adding how that will “help nature stay cold” around the entrance and tunnel walls. A transformer now located inside the entry tunnel will also be removed, to reduce a source of warmth inside the tunnel. A new building, designed by Oslo-based architecture firm Snøhetta, is also planned 40 meters away from the entry building to handle necessary security functions in connection with the receipt and registration of new seed shipments before they’re placed inside the vault. She noted that the repairs also are important for Norway’s reputation after it took on the task of building what’s been called one of the world’s most important structures. It was built at a cost of NOK 48.5 million (around USD 6.5 million at current exchange rates) and is owned by the Norwegian state, while seeds inside the vault belong to the countries from which they came. Norway also has taken on responsibility to operate and maintain the site, which is closed to the general public. The entrance alone become a popular tourist attraction, though, with its distinctive structure easily visible at its location just above the airport serving Svalbard’s main community of Longbyen. The building that forms the entrance into the long tunnel leading to the vault is the only portion above ground and also features art by Dyveke Sanne called “Perpetual Repercussion” that lights up during Svalbard’s dark winters.